Auteur : Koumbourlis A. C.
Principles of pulmonary medicine, 7th ed. Wilkins' Clinical Assessment in Respiratory Care, 8th Ed. Auteur : Heuer A. J.
Atlas of Endoscopic Major Pulmonary Resections, 2nd Ed. West's pulmonary pathophysiology: the essentials, 9th ed. La pneumologie fondée sur les preuves, 5e éd. 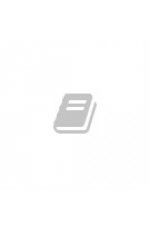 The Washington manual: Pulmonary medicine subspecialty consult, 2nd ed. Nunn's apllied respiratory physiology, 8th ed. West's respiratory physiology: the essentials, 10th ed. Hodson & Geddes' Cystic fibrosis, 4th ed. Murray and Nadel's Textbook of respiratory medicine, 2-vol Set, 6th ed. Oxford handbook of respiratory medicine, 3rd ed. 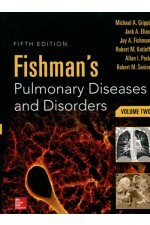 Manual of clinical problems in pulmonary medicine, 7th ed. 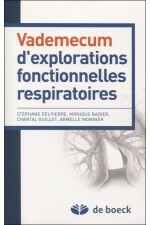 Le livre de l'interne: Pneumologie, 2e éd.